Do you use fluoride toothpaste or drink tap water with fluoride in it? Does your dentist recommend fluoride treatments for your children when they have dental checkups? These common practices are what many people do and accept as a method of “preventative” dental care. Ever since I was a child, the concept of having fluoride in my toothpaste and water to keep cavities away has been hammered into my head. However, fluoride is not only unnecessary, it is not a nutrient; it is in fact, a harmful chemical. One of the many examples of fluoride harming life is the incidence on August 25, 1961 where W.S. Meader and his wife May (near Pocatello, Idaho) took judgment through the U.S. Court of Appeals, Ninth Circuit, against Food Machinery and Chemical Corporation for the amount of $57, 295.80 and against J.R. Simplot Corporation for $4,246.41. These corporations’ factories produced fluoride as a by-product in the form of both gaseous and solid compounds. The Meader trout farm and fish hatchery sustained serious damage from these substances. The fish eggs were described by court record as “worthless” and did not hatch normally. Furthermore, the fish that did successfully hatch were reported to have mutations. The owners of the hatchery removed about a ton of dead fish daily for a period of time. Levels of fluoride taken from water samples in the hatchery were between 0.5 and 4.7 ppm, which is the same as concentrations existing in food and beverages consumed by humans all over the country. In the end, the hatchery experienced a loss of business and livelihood. Cost of neutralizing these toxic substances to corporation? Per gallon, $1.40 – possibly higher if other toxic substances are present such as uranium, lead, arsenic, and cadmium – at the highest-rated hazardous waste facility. These substances are purchased by cities and are then dumped into the water supply. Silicofluorides contain toxic levels of those substances that are nearly as high as arsenic, and are more toxic than lead. After analyzing foods consumed by isolated primitive peoples, Dr. Price discovered that they provided at least four times the calcium and other minerals, and at least TEN times the fat-soluble vitamins from animal foods originating from animals raised naturally. This was in contrast with the processed, additive-filled diet of Western citizens in developed countries who experienced heightened levels of dental issues including decay, malformation, and bone malstructure and loss. His record of detailing the extreme deterioration both physical and dental health of people who went from nutritionally-dense foods to processed foods is both startling and eye-opening. Has anyone ever asked you whether you have an eating disorder? These days, everyone seems to know someone with one, but eating disorders are much more common than people think. In the 1980s we saw an enormous surge of teenage girls described as having bulimia (binging and purging) and anorexia nervosa (starving oneself to death) in order to keep from being overweight. These were extreme examples of eating disorders. But there are other eating disorders which may masquerade themselves very sneakily – so difficult to detect in fact, that you may not even realize you or someone else you know has it. The whole way our culture has evolved to regard and consume food can indeed be categorized as one enormous eating disorder. Why is this true? Consider the way people live life in modern society – we are constantly taxed and on the go, doing more things each day than is humanely possible to accomplish. Our jobs are demanding and provide little opportunity for breaks, vacations, or rest. Because we are so busy, that leaves little time for much of anything – especially preparing a nutritious, home-cooked meal. Unless we pay attention to what we buy and are mindful of ingredients, even those of us who do prepare “home-cooked” meals can easily end up preparing food that is virtually devoid of nutrients. What we wind up eating, most of the time, falls into the category of convenience foods – foods that you don’t prepare from scratch and which come out of a package, can, or box. And these foods are not natural nor nutritious. The convenience foods are, in fact, one of the main problems in our eating disorder. We have come to depend on and accept these foods for so many years, we believe them to be just fine and healthy to consume. So what’s the result? Fatigue, weakened immune systems, shot adrenal glands, and susceptibility to health issues and disease. That describes our society very well. It goes without saying that when people become tired, they look for something quick and easy to eat – and that’s seldom a home-prepared meal with healthy and organic ingredients from scratch. Most of us reach for something easy to prepare out of a can, package, or box. What many of use eat are “quick” foods like food bars, crackers, pretzels, cookies, muffins, processed bread (full of dough conditioner, high fructose corn syrup, modified corn starch, etc.) with peanut butter (containing hydrogenated oils), shakes and smoothies with little to no real nutrition (loaded with artificially-produced carbohdyrates, denatured proteins, and a variety of other chemicals), conventional dried fruits (treated with sulfur and often containing pesticides), popsicles, fruit roll-ups or fruit “snacks”, and many other similar items. These foods are highly processed, devoid of nutrients, and if eaten regularly, will cause weight gain, irregular blood sugar (which can lead to diabetes), a disturbance in metabolic processes, and chronic health issues. How have things changed since the last 160 years? Prior to industrialized society (mid 1800s), people generally ate foods off the land. They hunted, gathered, and prepared foods from their own homes and cooked from scratch. Literally everything people ate was from their own regions and made from real foods. There were no supermarkets, fast food restaurants, or processed, packaged foods. There were very little toxins, chemicals, or preservatives applied to foods. You either ate the food now, or it spoiled soon after. People who lived back then had relatively little incidence of heart disease. It wasn’t until the 1920s that heart disease began to surface as noticeable problem. Right about that time, processed vegetable oils and refined carbohydrates became more prevalent on the American market. We count on the fact that many of the foods we purchase can sit on the shelf for months or years and we are able to consume it a long time after purchase. But here’s the important question we should all be asking: is this practice a good idea, and is it healthy? This question lends itself to the old saying – just because you can do something, doesn’t mean you should do it. When we hear the term eating disorder, we automatically think of a shrinking young girl who has taken to starvation or eating a lot of food and then purging as a way to stay thin. But there are other ways in which eating disorders manifest. We have grown quite accustomed to making foods that have some component of convenience to them – such as bottled dressings and sauces, packaged side dishes, pasteurized dairy products of all types (cheeses, milk, sauces, butter and “butter” products), bread and grain products, powdered foods that we add to water, soups, broths, juices, and canned fruits and vegetables. We use these items in our kitchen and mistakenly believe we are eating healthy because we are cooking something at home; but what we fail to realize is that we are not really eating healthier than if we were eating at a restaurant or some other place where we don’t know how the food is prepared or where it comes from. When we eat substances like this, we are effectively eating the same as we would elsewhere because we are using unnatural, convenience foods of all types and harming our health. When you use packaged foods which have become such an integral part of our modern life, we are consuming substances of which we don’t know their origin nor understand how they are created. And many of these same types of foods are the same found in restaurants which serve food that is not typically healthy. This is just one component of our collective eating disorder. Then there are the foods which seem natural and whole, but have a complete constituency of substances in them that are virtually “hidden” to the naked eye which are toxic and harmful to consume – meats, dairy products, grains, and fruits and vegetables. In the average grocery store, these foods are wrought with chemicals, hormones, antibiotics, steroids, pesticides, and a number of other undesirable, health-issue-causing additives. The food may appear acceptable by appearance, it probably even smells and tastes normal – the meat may look robust and red in the packaging, the fruits and vegetables may seem fresh and colorful – but in reality, these foods are laden with toxic chemicals and have been altered from their original state intended by nature due to the use of substances which make growing, manufacturing and production of these foods “easier” and “cheaper” for the food corporations that sell them. But at what cost to the consumer and the environment? Here we have found one more component of the complicated eating disorder surrounding diets in developed countries. Although each person’s body is individualized and has its own physiology, basic tenets of nutrition apply to what everyone needs to be healthy. People need fat, protein, carbohydrates, and other nutrients like amino acids, enzymes, vitamins, and minerals. Many foods available in the modern age are typically less nutrient dense due to processing and toxin content, and because they are processed have a longer shelf life. In this instance, shelf life equals deterioration of food quality. Today, we purchase foods from the store that are shipped from all over the country and the world. We literally have no idea how long these foods have been sitting in the store nor where they come from, nor what has been done to them before they are delivered to the store. Our purchasing and eating habits have so departed from how our ancestors did things, we go through our lives having no clue that much of what we are eating is toxic garbage. This should be disturbing to the average person, but we have become conditioned to getting whatever we want whenever we want it, and having it taste just the right way (possible, of course, through the magic of taste engineering done in labs by scientists) – and we place that value far and beyond anything else when it comes to providing food for ourselves, that we don’t even stop to think about it. Our focus has become centered upon how much fat and calories we consume, and less about the content of the foods we eat. So if we eat artificially-produced, processed foods, it really doesn’t matter how many calories or fat the food contains. Those nutrients (calories,proteins, carbohydrates, and fats) are empty and not nutritionally-dense. What’s more, those “foods” contain substances that are harmful to our health. Because they cannot be recognized by the human body as anything real, these synthetic substances become stored as fat in the cells and they also get absorbed into our bloodstream and affect our bodies in a negative way. Then they are able to cause damage in the form of free-radicals in the body. As human beings, we desire to feel and look “right” according to the standards set forth by our expectations and culture. We are susceptible to the influence of many factors such as what Mr. Jones down the road does or says, what the latest ad on television or a magazine tells us, and the rhetoric put forth by health and medical communities. We are totally unaware that most of what we are told to do by these parties is patently wrong and misleading. We spend money on fad diets, exercise regimens, health club memberships, advice, books, DVDs, treatments, and advice from so-called professionals or experts. Yet, we are some of the most unhealthy people on the planet and our obesity, heart disease, and cancer rates are rising each year. People seldom stop to consider that all these compulsive things we do have a profoundly negative effect on health. We have been convinced and conditioned by media, experts, even our friends and family, that these are the right things to eat for our health. We don’t acknowledge that all of these things are completely unnatural and have undesirable consequences to our health – until we are forced by some serious illness or disease to do so. When we are diagnosed with something critical, we take it even one step further and go about treating it in the most unnatural way and the affects on our body can be devastating. We take dangerous drugs or have medical procedures that are costly. What we do to our bodies when they are compromised and sick can actually hinder the healing process completely and cause further complications or death. What can you do if you have an eating disorder? Remember, eating disorders can apply to those who are not in the extreme category as bulimia or anorexia. If you are eating real, whole foods containing fats, protein, and calories produced the way nature intended, your body recognizes these substances and the nutrients are real as well. Further, you don’t have to worry about “counting calories” and fat grams. Because the nutrients are real, your body can use them in a way that is helpful to the body, and is therefore life-giving. It has become unfashionable to eat real food, and now our stores and grocery centers are filled with a plethora of products to “make our lives better”, “healthier”, and more convenient. Because we have lost touch with where our food comes from and how it is grown and produced, we have in turn lost an important part of ourselves – our health. Do some research in your local area to find out where else you can purchase real food. Check the Internet, newspaper, and with people you know. Stop buying packaged, processed foods, or at the very least, reduce your buying of these items considerably. Look for natural, healthy foods at your local store such as grass-fed meats, organic fruits and vegetables, and whole grains in bulk. If you find that making many changes all at once is overwhelming, select two or three things to change about your lifestyle, approach to eating, and overall health mentality, and build on those choices over time by adding a few more things each week or month as you are able. For some ideas about building your homekeeping skills, read: Embrace and Perfect Your Homekeeping Skills. Do look at organic, whole, traditional foods as your body’s friend. They are nutritious, wholesome, and deliver the right health benefits to your body. Avoid old thinking patterns about foods you may have been taught over your lifetime such as fats, cholesterol, and calories are unhealthy. The only fats, cholesterol, and calories that are unhealthy to consume are those that are artificially-produced. Read this article: The Importance of Dietary Fats. For more information about types of foods, read: How Well Do You Know Your Food? Find Out! Keep in mind that in general, the modern way of life is neither how our bodies were designed to be cared for nor the way we were intended to maintain our environments and look after nature. Do everything you can to scale back your lifestyle efforts so that you can defeat eating disorders, care for the earth, restore health, and return to a more natural way of existence. This article is part of Food Renegade’s Fight Back Fridays Carnival. Please visit Food Renegade and read the other real food articles linked there. Is Best Foods Mayonnaise Healthier than it Used to Be? Water, oils (soybean oil, extra virgin olive oil), vinegar, whole eggs and egg yolks, modified corn starch, sugar, salt, lemon juice, (sorbic acid*, calcium disodium EDTA) used to protect quality, xantham gum*, citric acid*, natural flavors, oleoresin paprika, beta carotene* (color). Gluten free. *Contains 650mg ALA per serving which is 50% Daily Value for Omega 3 ALA (1300mg). For anyone acquainted with natural sources, it is pretty obvious that none of the ingredients listed have anything containing Omega 3 essential fatty acids. Soybean oil is a processed, rancid oil that is extremely high in Omega 6 content. Too many Omega 6s in the diet cause inflammation, which contributes to degenerative disease. Olive oil is a healthy oil only if it is high quality (Best Foods uses Bertolli) and is contained properly (in a dark bottle). Olive oil can go rancid easily, and sitting in a jar of mayonnaise with a clear glass container is a good place for that to occur. Olive oil is not an Omega 3 essential fatty acid, it is actually an Omega 9. Of course, Best Foods are still touting the usual trendy statement to which many food companies lay claim, which is that their products contain “no trans fats”. Au contrare, but they do! Like many other commercial mayonnaises, this brand contains soybean oil, which is always rancid by the time it gets to your sandwich or salad (a trans fat by any other name). They even put butter and lard in the same category as partially-hydrogenated oils. Shame on them for misleading the consumer! The ingredient calcium disodium EDTA is a neurotoxin and is dangerous to consume. Read about this here. Mayonnaise, as defined by the U.S. Food and Drug Administration’s Standard of Identity, must contain at least 65% oil by weight, vinegar, and egg or egg yolks. It may contain spices and natural seasonings except turmeric and saffron, whose yellow color might suggest added egg yolk. Preservatives such as calcium disodium EDTA are acceptable and approved for use in mayonnaise. It is our policy that any of our products which may contain ingredients created through the use of biotechnology, be proven that their safety to consumers and the environment is fully established. Biotechnology has the potential to help meet the demands of people for everyday products that are more environmentally friendly; that involve less processing; that are more functional; that taste better; that last longer; that provide added nutritional benefits; that are customized to an individual’s lifestyle; and that are currently available. Biotechnology is important to Unilever (Lipton etc,) because it helps our mission as one of the world’s largest consumer goods companies to continue to deliver innovative products that our consumers tell us they want. Products resulting from biotechnology have been used successfully and safely for many years – for example: in the pharmaceutical industry. We are also committed to the provision of the best possible information to the consumer. The FDA has had a sound labeling system in place for biotech foods since 1992. Under that system, biotech foods must be labeled if they are found to be significantly different from their conventional counterparts, or if they contain allergens. This is the same basic program that safeguards the conventional food supply in the United States. Since there is no difference between plants or foods derived from biotechnology and those not derived, there is no clear reason to label either respectively. All of our products are labeled in accordance with the rules and regulations of the federal government. It is our responsibility at Unilever – and a responsibility we take very seriously – to make certain all of our ingredients are safe. We believe biotechnology is already significant and that its development will continue to bring major benefits to society as a whole. Basically, what I believe the company is telling the consumer in this letter is that you should not worry about anything created synthetically, and that any of those items are just as safe to consume as anything grown in nature. I’m also hearing that because the government has set forth laws and regulations, and Best Foods adheres to those standards, we should just blindly trust their judgment about what is healthy to consume (we know they’ve been wrong before!). It is unbelievable that companies are allowed to sell foods like this, present untruthful information, and then use government laws and regulations to back up their claims. Best Foods Mayonnaise does not contain Omega 3 essential fatty acids. It does in fact, contain Omega 6s (from rancid soybean oil) and Omega 9s from olive oil of which we don’t know a great lot of detail about its source. We already mentioned that too many Omega 6s lead to disease. Too many Omega 6s are common in the Western diet (particularly in the United States). This brand includes additives in their product such as calcium disodium EDTA and “natural flavors” (for preservative and taste qualities) that have been shown to cause health issues. For more reading on these subjects, check out Hard to Swallow: The Truth About Food Additives by Karen Evans and Doris Sarjent and Excitoxins: The Taste that Kills By Dr. Russell Blaylock, M.D. Best Foods also admits to using GMOs in their ingredients, and claims these substances are not harmful to human health (soybean oil is usually from a GMO source unless otherwise labeled, and Best Foods claims in their letter above not only to use GMOs but also believes they are safe to consume). 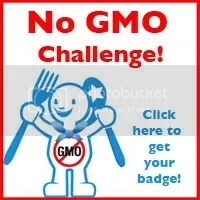 To learn more about the dangers of GMOs, visit the Safe Food web site. Finally, the other ingredients used in their mayonnaise are most likely from factory farm and industrial sources – eggs, vinegar, lemon juice, sugar, and water. Industrial eggs are wrought with chemicals, hormones, antibiotics, and contain low levels of nutrients – especially the all-important Omega 3s and conjugated linoleic acid. There may be some question as to whether or not other brands are as nutritionally-deficient as Best Foods, and the answer is most definitely, yes. Just read the labels to find out; become a health sleuth. Many brands will claim that vegetable oils such as canola oil are “heart healthy”. Canola oil is another high content Omega 6, usually genetically-modified, and rancid on the shelf. This oil is commonly found in many brands of mayonnaise. Most brands on the market will have either canola, soybean, sunflower, safflower, or cottonseed oil in them – all are unhealthy vegetable oils that are not organic, unless labeled, are rancid, and genetically-modified. Passionate Homemaking – coconut oil mayonnaise! This post is listed on Kelly The Kitchen Kop’s Real Food Wednesdays Carnival. Check out the other great real food posts there.